To receive the latest news and updates for students text CCOFWP for Parents or CCOFW for Students to 81010. 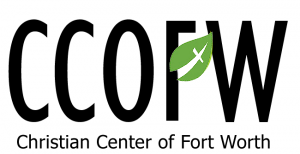 FUSE is the student ministry of Christian Center of Fort Worth. We exist to help students grow in their relationships with Christ and to give them the tools they will need to reach their campuses for Christ. Middle School students in grades 7-8 and High School students in grades 9-12 will find a place where they will be encouraged in their faith, challenged to reach their schools for Christ and bring their friends to hang out and meet Jesus. It is our desire that students grow in wonder about the truths of God, discover who God is, and live with passion as we journey to live like Christ. Our student ministry is designed to partner with parents to help students to know & grow. It is during this time where students are really able to connect with other students, connect with caring adults, and connect with God! We help students take what they are learning and apply it to their everyday life. Don’t miss out on this important part of your journey! Our youth worship service in our newly renovated youth room on Wednesday nights at 6:30 PM is designed specifically for students to honor Christ with engaging worship, teaching & games as we explore God’s truth! This is a great opportunity to bring friends to hear a message from God’s Word! Join us each week as we journey together and learn to know, love, serve, and share Christ. One of our favorite things to do is to meet new students, get to know our current students better, and provide opportunities for them to get to know each other. We have found that there are 2 things that pave the way for such conversation: food and activities. So we plan things all over town with the sole purpose of hanging out. It could be anything from serving opportunities, bowling, watching a movie, grabbing a snow cone or just meeting to hang out at the mall food court. Sometimes we announce it weeks in advance, and other times we will send out a text or a tweet the day of the event. Our goal isn’t for hundreds of people to show up each time. Our goal is to get to know the ones that do. A D-Group usually consists of three or four people—-men with men, women with women-—who meet together weekly or every other week. The group meets to encourage each other and be known, and to bring the gospel to bear on each others’ lives, so that they grow in and live out our mission as a church to love God, love each other, and love our world. The mission of God is to restore all things to Himself, in and through the work and person of Jesus Christ. His chosen vehicle through which He is accomplishing that mission is the church. As God restores us to Himself, He is also restoring us to be who He intends us to be. This restoring work does not happen in isolation, but rather in and through our relationships with each other as family. We do not do it alone. We need each other. WHAT DOES A TYPICAL D-GROUP GATHERING LOOK LIKE? There is so much freedom to how a D-group can look. Groups might have different settings, take place over different activities, and have all kinds of different rhythms and seasons. However, each of our D-groups will include three elements: Bible reading, scripture memory, and Accountability. WHAT DOES ACCOUNTABILITY LOOK LIKE IN D-GROUPS? Encouraging each other to live out what we believe through making goals and helping each other fulfill them. Reviewing the past week and how faithful we have been in keeping our word. Speaking the truth in love as we see areas of sin, correcting and rebuking with God’s Word and the gospel when necessary. AM I THE ONLY ONE NOT IN A D- GROUP? No! We are just now really officially launching our initiative for these groups, so you are not behind the curb at all. Our hope is to see D-Groups starting and growing in 2018. D-Groups are simple, biblical and missional. They avoid legalism by promoting a Christ-centered reading of the Scriptures. They avoid license by taking seriously the fight of faith against the flesh. Best of all, they promote lasting joy in Jesus. Fuse is also a Parent Ministry. The teenage years are crazy hard and we want you to know that we have your back! We only have your kids a few hours a week. You have the most important job that no pastor, mentor, or friend could ever replace in your child’s life! We are here to help you. We will offer you resources like this website, the recommended resources below as well as monthly newsletters with tips and tricks to stay ahead of the game. Parents: We love you, we are here for you and are honored that you would allow us to partner with you to raise your kids in Christ. We send out monthly newsletters filled with information about upcoming events as well as things to help you as a parent better understand, relate and disciple your student. One of the tools we will be using for communication is an app called Remind. We feel like it is important for our leaders to be able to contact parents, and it is important for students to have a way to reach out to their leaders when they need prayer, advice, or they just have a question. This is where Remind comes in. While there is no perfect system for this kind of thing, there are some safeguards involved with this app that make it worthwhile to use. Come a few minutes early to our student center entrance on the north side of the sanctuary, where a student leader will be happy to greet you and get you connected. Throughout the evening your student will participate in an age appropriate worship service and a breakout time for fellowship and discussion in small groups. Many students choose to come early around 6:00pm for games and hanging out. What kind of adult presence can I expect? Our large group teaching is primarily done through our student ministry team with occasional guest speakers. We have an adult leader who leads on average 5-7 students for our small group discussions. Safety is very important to us, so we have a security presence on site every Wednesday and all of our adult leaders have gone through our volunteer application process and background check. On Sunday mornings we have classes where we dive deeper in biblical topics through teaching and discussion. On Wednesday Nights we have a variety of series and topics that are geared toward helping teenagers grow in their own faith with their peers in order to Know, Love, Serve and Share Jesus. If you are passionate about students and would like to help disciple them, please click the serve button below. We’d love to connect with you about joining the FUSE students Team!